One minute Scout is in her shower, but the next finds her transported to a strange hub with gateways to many enticing worlds. Her complacent lifestyle has left her unprepared for quick and brain shattering visits to exotic places that might just be different versions of heaven and hell. Why does she suspect this? Well… There’s the old man who hints (very convincingly) that he’s the Devil. Then God appears to tell her that she’s a favoured project destined for greatness. But, ultimately, it’s the terrifying little girl who holds a dreadful secret regarding Scout’s past that convinces the woman she’s caught up in some God-driven game. Unusual, interesting and surprisingly good, A Touch of Scarlet pulled me into a world where good and evil are apparently meaningless or, at the very least, negotiable. I say surprising because I didn’t care for the way the story opened: the exposition was too intangible to hook me, and it left a feeling of dislike for the tale. However, once McHugh hit page 9 and settled into her storytelling, she never looked back. 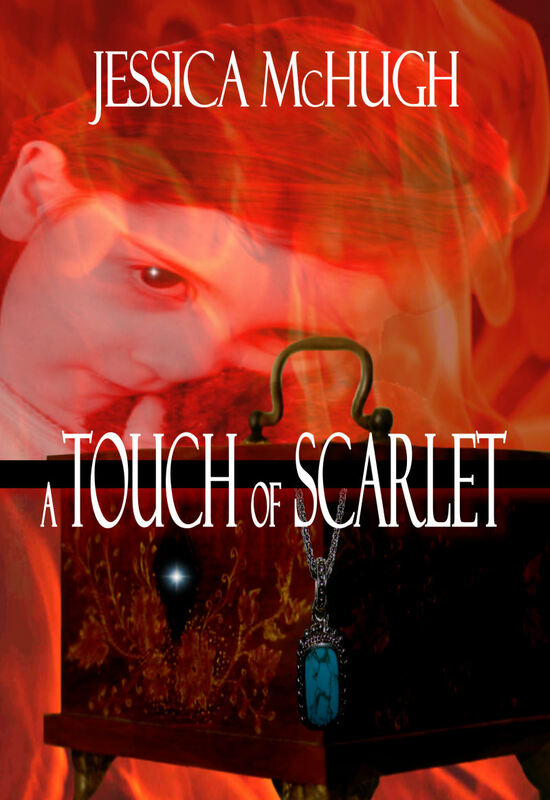 So, in my opinion, if you can hang in there for a few cloudy minutes at the beginning, A Touch of Scarlet is a worthwhile read sure to entertain and intrigue. Thank you so much for the review! I'm very glad that you enjoyed the book!! Thanks for popping in to say so, Jess! Great review Sassy, the book sounds interesting.. Thanks for your comment Eleni! Previous Entry What’s on Your Desk Wednesday? Bookish Book Blog Meme!